In this interview, we meet Elle Drouin, Founder of wonderfelle MEDIA. 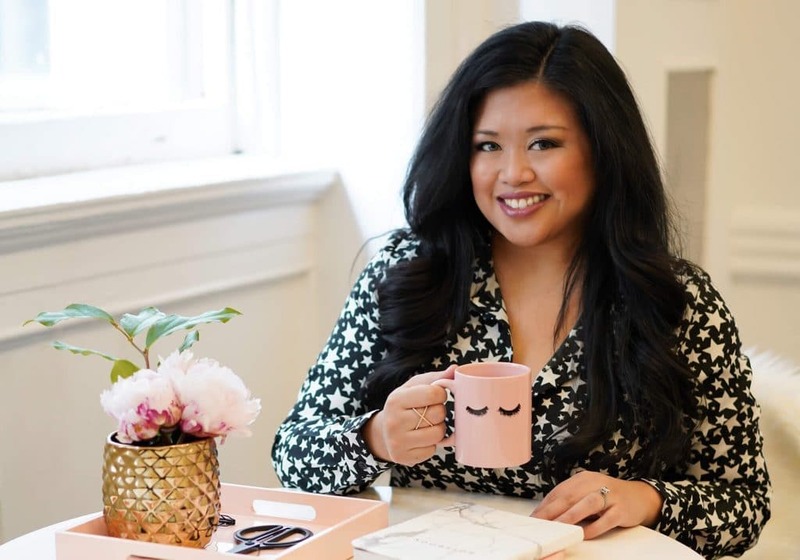 We’ve been members of her photo library membership, Styled Stock Society, for over a year now and we were thrilled to finally meet the founder this month. We asked her all of the questions we’ve been dying to know like how she got the courage to leave her full-time job and what a typical day is like for her. We love how she strategically plans her day around her creative flow and even knows not to schedule meetings before 12pm. Sign us up! Hope you enjoy this interview! Elle has a Bachelor of Business Administration from The George Washington University with a dual concentration in finance and international business. In 2015, she started wonderfelle MEDIA. Take us through a day in your life. What does your typical workday look like? One of the best things about running my own business is that I don’t really have a typical workday. Some days I’m styling, shooting, and editing photos for my clients and Styled Stock Society members. Some days I’m batching blog posts, email newsletters, or podcast interviews. Some days I’m doing event appearances in NYC or going on press trips with my dog. It really depends on what I have scheduled, but I love that no two days are exactly alike! I don’t set an alarm, so I wake up whenever I feel rested. That’s usually between 9-10am – I’m not a morning person, so I avoid scheduling meetings before noon as much as possible! I start every day with an allergy pill, a bottle of water, and a greek yogurt. I spend no more than 30 minutes responding to urgent emails in the AM and block off time at the end of the day for less urgent responses. I always take breaks to each lunch and dinner away from my computer! What is the best moment of your career so far? I honestly don’t think I could choose a single best moment of my career, but I think some of my best moments have been during the opportunities where I’ve gotten to travel for work. I’ve done some amazing collaborations with luxury hotels across the US, Puerto Rico, and Aruba and I’m always in awe and so thankful that getting paid to travel, meet new people, create content, and share it with the world is part of my job! What does career fulfillment mean to you? I used to think career fulfillment meant climbing the corporate ladder to a cushy corner office, but now career fulfillment means being able to serve a community while enjoying what I do and earning an income that allows me to live a life I love. There isn’t a single vision of what that looks like because I think that throughout my life I will find enjoyment in different things – whether that’s marketing, styling, photography, or something totally different! I also think that the definition of “a life I love” isn’t something set in stone – currently that means living in NYC, being able to explore all of the amazing things the city has to offer, and also being able to leave the city once a month to travel to new places. Maybe that will change in the future, but I always want my career to fuel my life, not be my life! At what point did you realize you wanted to start a business? I definitely wasn’t someone who grew up thinking I wanted to own a business. I’m a bit of a control freak and in my previous jobs I always had the feeling that I would be happier being my own boss! I started freelancing in late 2014 just to earn some extra income, loved the freedom of making money on my own terms, and I officially started my business in 2015. How did you get the courage to leave your secure financial advisor job to work on your business full time? 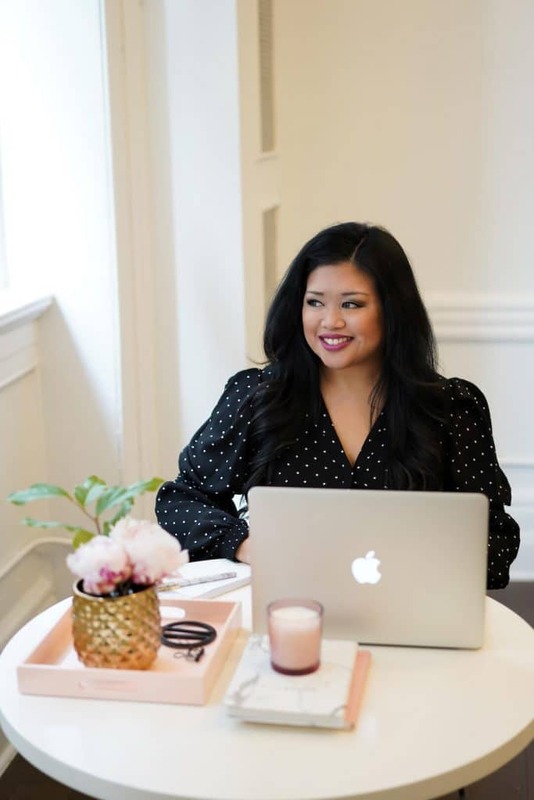 I actually originally left my job as a financial advisor to move to NYC to work as the Director of Marketing & Digital Strategy for an ecommerce startup – which was totally different from my corporate job! I became obsessed with all things marketing and started a blog sharing marketing tips. As my blog grew, I realized I could monetize it by offering services to my blog readers and that’s how I got my first clients. I would say my courage to leave my job came from the fact that I had already proven to myself that there were people who wanted to hire me to help them. I wanted the freedom to work for myself full time, but I knew I didn’t actually have the time to build a legit business unless I quit my day job, so after freelancing for a few months, I left to run wonderfelle MEDIA full time and haven’t looked back! Tell us about your Instagram famous dog?! I started an Instagram account for my dog Mochi a few years ago just because I didn’t want to post a ton of dog photos on my own Instagram account. Her following quickly surpassed mine, and now she has over 100,000 followers who love keeping up with her adventures. Since I work from home, Mochi and I are always together, and we’ve created a brand around her fabulous life as a mini style-setter and dog model (who knows the importance of finding the best Instagram spots wherever she goes). She loves fashion, traveling with her humans, and exploring dog-friendly locations in NYC and beyond! 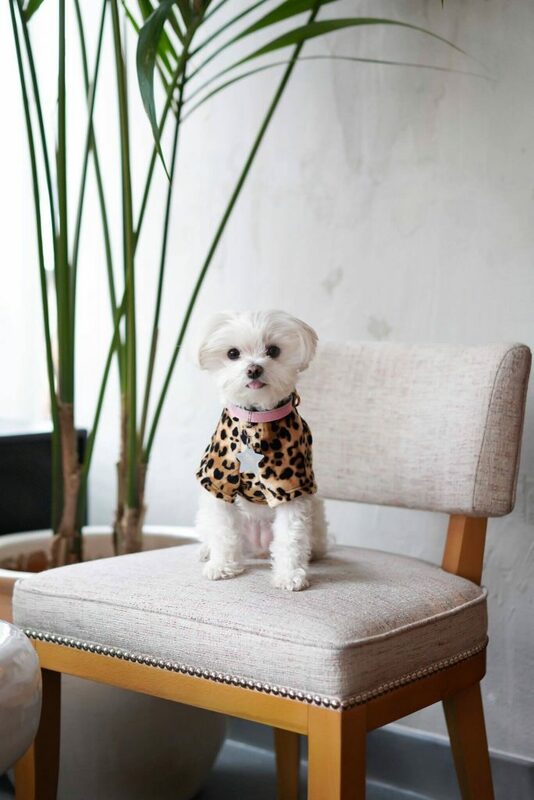 Mochi has been named one of the most entrepreneurial dogs in America by Entrepreneur, and has been featured on Refinery29, the TODAY Show, CNBC, InStyle, and number of other media outlets. She’s also collaborated with brands like ABC, American Express, Disney, Google, and The Ritz Carlton and raised thousands of dollars for local animal shelters and rescue organizations. How do you see the photography industry changing with social media? It’s interesting because I wasn’t a photographer “before” social media, so I don’t really know what that was like. I think social media has made more people interested in photography since documenting our lives has become part of our culture. 3 years ago when I started Mochi’s Instagram account, I wasn’t a photographer at all – I just took mediocre iPhone photos in the beginning. But as her following grew, I wanted to grow my photography skills as well! So I learned how to use my husband’s DSLR, spent a ton of time practicing, and eventually bought a camera of my own. I became a photographer because of social media and I think there are probably a lot of other people who are inspired by the content they see and want to create beautiful images as well. Why are imagery and photography so important when creating your brand? Your brand is essentially how people perceive you, and visuals are a key part to any brand. Imagery helps people to connect with you and strong, consistent branding helps people to remember you. Your brand is so much more than a logo or some brand colors – it’s the visual story that you share with the world – and that includes your photography or any other imagery that is associated with your brand. What are stock photos and how can they make our life easier? Stock photos are professional photos that people can download or purchase for use. Licensing terms vary, but in general, stock photos can make your life easier because they save time and money. Instead of hiring a professional photographer or trying to take photos on your own, purchasing stock photos is a way to have high-quality visuals without the stress! I created the Styled Stock Society, a stock photography membership for women entrepreneurs, because I realized that so many of the women in my audience struggled with having cohesive imagery for their websites, blogs, social media, and all the other places they were trying to build a brand online. The Styled Stock Society makes their life easier by giving them instant access to over 1,500 styled stock photos that they can use for all of their personal and business needs! UPDATE: Grab 30 free photos from Elle’s photo membership site here so you can try it out! Start before you feel ready – I never look back on things and regret doing them, but I often wish I had started sooner! 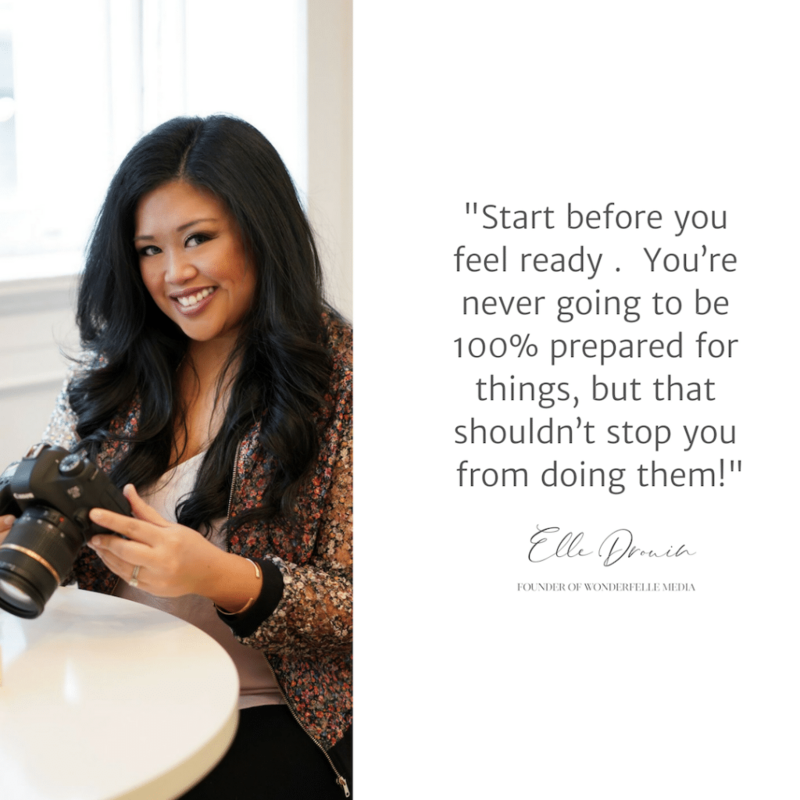 Instead of wasting time worrying about whether or not I was “ready” to do things (like start my business! ), I would tell myself to do them sooner. You’re never going to be 100% prepared for things, but that shouldn’t stop you from doing them! You have to be willing to fail in order to succeed – I used to let fear of failure hold me back from taking action. I’m a recovering perfectionist who always got straight As in school, so the concept of failure used to terrify me. But when you’re in the “real world” there’s no such thing as getting perfect grades. You’re going to stumble. You’re going to feel like things are hard. But you have to be willing to try and fail if you ever want to succeed. Sometimes the path isn’t obvious, but you can create it yourself – When I was 20, Instagram didn’t exist. Social media was still relatively new and no one would have taken me seriously if I said that I was going to take pictures of my dog and post them on an app and get paid for it. At the time, I thought that the only path was a traditional career path because my parents and the people I looked up to had all done the same thing for 30+ years. Honestly, I didn’t know what I wanted to do when I “grew up” (and maybe I’m still figuring that out), but that’s ok. Explore your interests, find hobbies that you enjoy, never stop learning… and you’ll figure it out along the way! Need more photos to help you grow your brand? Check out Elle’s free styled stock photos you can start using right now.